IT'S HUMPDAY! I feel like my Mondays and Tuesdays go by slooowly and it seems like the rest of the week is never going to come to an end. But then it becomes Wednesday- humpday- and all is good in the world again, because that means we are so much closer to Friday! 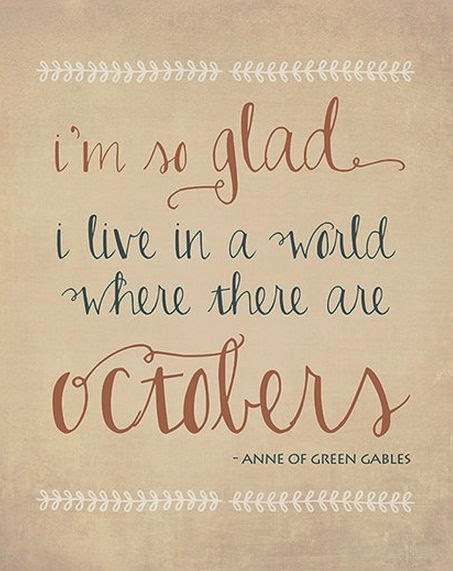 I am SO excited because it is my favorite month of the year...OCTOBER! Maybe it's the crispy crunchy leaves, the fall scented pumpkin donut candles at Bath & Body works, comforting bowls of chicken noodle soup (and copious cornbread muffins), the fact that its my birthday month, or the cooler weather, but I just LOVE it. Bring on October! And bring on new October goals! I know this might be a hard one due to a busy fall schedule, but I have been walking around our neighborhood a few times a day with Brinkley and it has brought me SO much joy! The cool, fall weather is such a plus! 2. Brainstorm Good Spread ideas. 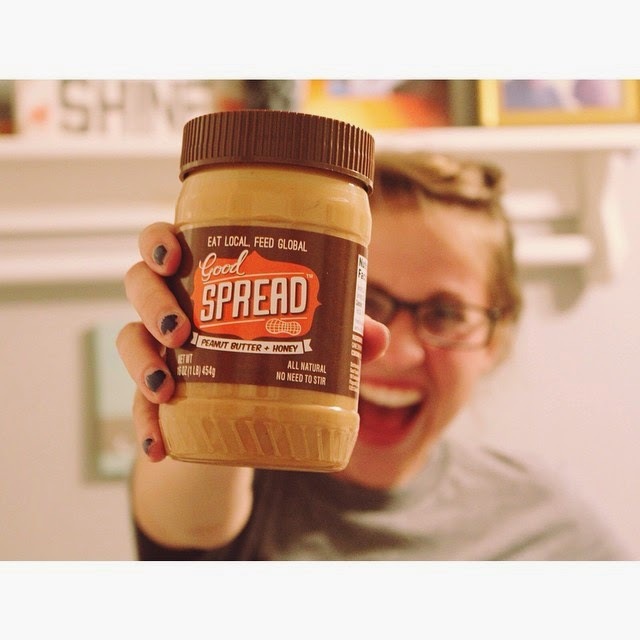 I joined with my roommate and good friend, Sydney, and am now officially a Good Spread ambassador! I'm so excited about this awesome one-for-one company that gives meals to malnourished children for every packet of peanutbutter sold! You'll definitely be hearing more about this one later. 4. Go on a Fall Hike. I don't even remember the last time I went hiking, but this year is the year of adventures! And I don't think there is a better time to go hiking than in the fall. 5. Buy a Pumpkin at the Pumpkin Patch. I LOVE pumpkin patches. I think they are so fun and it's not really fall without a good pumpkin, ya know? 6. Go to a Corn Maze. Corn Mazes are fun for many, many reasons. But let's be honest honest...I go for the tasty treats...hot, fresh cider, donuts, kettle corn, and oh! The giant jumpy trampolines are pretty fun too. Hi! I've never heard of that peanut butter company, but I will have to check them out. Fall hikes are my favorite!